The #MeToo movement has prompted an Interior Department-run panel to rename a glacier in Antarctica. The U.S. Board on Geographic Names — a multiagency body in the U.S. Geological Survey — relabeled the Marchant Glacier last week after the scientist for which it's named was found by Boston University to have engaged in sexual harassment. The glacier's now called the Matataua Glacier, according to Lou Yost, executive secretary of the U.S. Board on Geographic Names. The landform was previously named for geologist David Marchant, who was linked to more than $5 million in grant awards from the National Science Foundation and NASA. A Boston University investigation last year found Marchant sexually harassed female researchers during a 1999-2000 field expedition in Antarctica. Last year, the House Science, Space and Technology Committee launched a bipartisan investigation into allegations against Marchant (E&E Daily, Oct. 27, 2017). Yost said a proposal from unnamed individuals prompted the change. 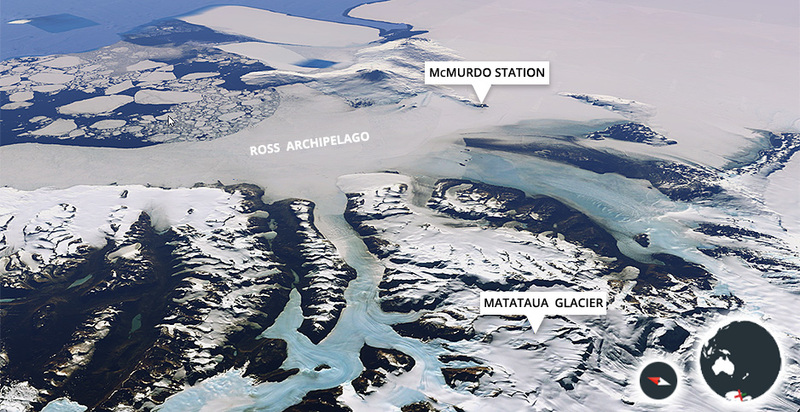 In the letter, the proponents stated, "Because the finding against Marchant has been upheld, we maintain that Marchant no longer warrants the honor of having an Antarctic geographic feature named for him" and "we therefore assert that Marchant is no longer deserving of the honor bestowed on him." The letter suggested the glacier be named for an associated geographic feature, such as Mata Taua Glacier in association with Mata Taua Peak, according to Yost. The New Zealand Geographic Board later informed the board that the correct form of the Maori name was "Matataua," Yost added. The Interior secretary has joint responsibility with the board for standardizing geographic names for federal use. In January, the National Science Foundation canceled Marchant's federal funding. Jane Willenbring, an associate professor at Scripps Institution of Oceanography who said Marchant harassed her when she was a graduate student, announced the altered glacier designation on Twitter. The National Science Foundation, the lead agency for the U.S. Antarctic program, said in a statement that it viewed the change as "appropriate, given that Boston University determined David Marchant violated Title IX regulations and USGS policy says geographic features are to be named for people who have made extraordinary or outstanding contributions to the advancement of polar science." Marchant couldn't be immediately reached for comment. The development occurred in the same week the House Science panel released recommendations to the Government Accountability Office on federal policy surrounding sexual harassment in the scientific community. The committee suggested that GAO consider whether people found to have committed sexual harassment should be stripped of honors and awards, as well as grant funding. Better training of federal employees, a standard way of reporting harassment and a new model where a single adviser doesn't advise students also should be considered, according to lawmakers. "No taxpayer dollars should be awarded to a researcher who engages in harassment and inappropriate behavior toward a colleague or a student under their charge," Chairman Lamar Smith (R-Texas) said in a statement. Earlier this year, Smith and ranking member Eddie Bernice Johnson (D-Texas) requested that the GAO investigate how federal agencies handle and comply with rules on sexual harassment and findings of harassment among grantees. Since then, the committee held a hearing and investigated multiple case studies, including Marchant's. This summer, the National Academies of Sciences, Engineering and Medicine released a report finding federal agencies may be "perpetuating the problem" of sexual harassment in academic science (E&E News PM, June 12).